Create with Power and Ease. 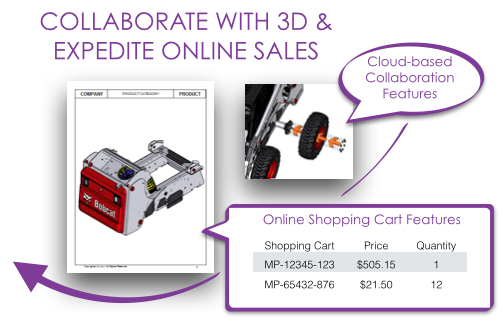 Import your 3D to create instructions, catalogs, sales demos and other required product support materials. Create ballooned exploded views with clickable parts lists. Author step-by-step procedures with descriptive text. Animate key selling points using 3D. Share3D supports interactive 3D viewing and collaboration on PCs and Macs directly through the modern browser using WebGL technology. Firefox, Chrome, Safari and Opera support the technology without any add-ins. Share3D also offers free native apps for iPad, iPhone and PCs. 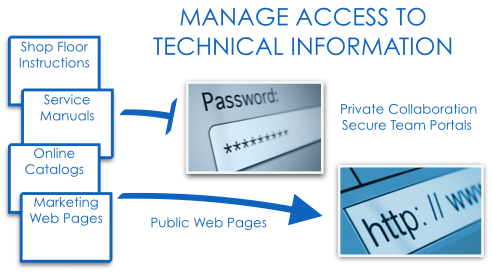 Share3D services enable secure and private sharing of your 3D information. 3D content is protected by 256-bit SSL security and hosted on Amazon’s secure servers. In addition, Share3D uses a lightweight format in the cloud so native CAD files are never uploaded to Share3D servers. Whether collaborators are online or using one of our native Share3D apps, users can submit comments with markups for participants to review. In addition, users that are buried in email can participate by replying to the automatically generated emails. Connect to you ERP, PLM or other database to access externally managed information such as pricing, inventory part names, SKUs and descriptions. 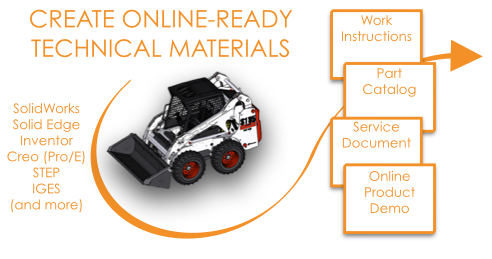 Authoring tools used with the Share3D system make it easy to update technical publications when designs change or information is modified. Interactively view and comment on Share3D files using your iPad or iPhone. iOS apps are available from the Apple App Store.